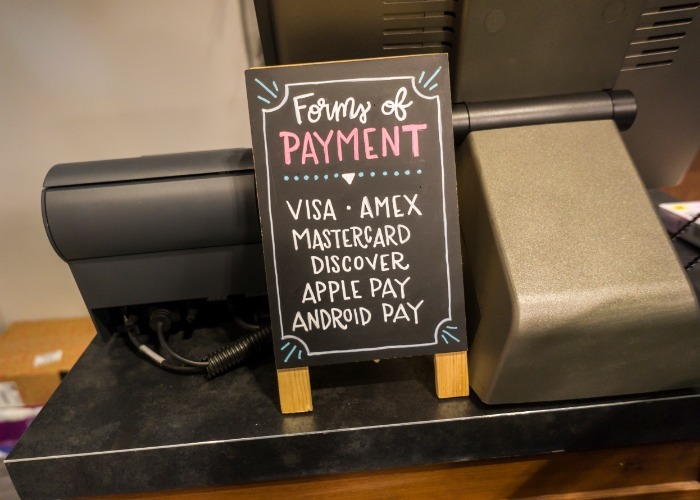 Contactless payments are soaring, but readers believe they should never replace cash outright. Businesses should be forced to accept cash, say 82% of loveMONEY readers. Readers were polled following the publication of the Access to Cash Review earlier this month. The review warned that ‘the real death knell for cash’ in other countries was not the disappearance of ATMs and bank branches, but instead shops and service providers refusing to accept cash. In response, the Access to Cash review recommended that essential Government services, monopoly and utility providers should be required to accept cash. Council Tax and prescriptions would fall under these categories. However, four in five loveMONEY readers believe the law should go further, to cover all businesses. This is already the case in China and Denmark, with US states cities including New York pushing for cash acceptance to become mandatory. While it's clear that many Brits still value cash, more and more appear to have switched to plastic. In 2018, the number of transactions using contactless debit and credit cards increased by 31%, with total card payments having overtaken cash the year before. While the majority of the 6.3 billion contactless payments were made using debit cards, contactless credit card use shot up by 44%. "Despite living in rural Wales and approaching the age of 70, I have gone almost entirely cashless and I love it. "We have a small village community shop run by volunteers who find their job so much easier if they don't have to sort out change and add up cash at the end of the day. Our village pub's landlord sets up a tab for me when I go through the door, I tap my card on his machine before I leave. "Two minutes after any purchase I receive a receipt on my phone, my card gives me 1/2% cashback and my trouser pockets don't wear out. What's not to like?" You can find out more about credit cards that pay cashback and rewards by clicking on the links. One big argument against going ‘cashless’ is the risk of system failure leaving users stranded. Last year the Visa network went down, with many debit card users unable to pay in shops, restaurants and stations. On the banking side, both NatWest and most notably TSB experienced IT problems last year. It’s for this reason that loveMONEY writer Sue Hayward says she always carries cash, and many loveMONEY readers agreed. "Cash purchasing should be available at least for up to £100…when the cashless system fails for any reason you can still buy food, petrol etc that needs to be paid for by some means. "I do fully understand that if you are buying a car it is reasonable to pay with a card as it is a check on money laundering and is not something that has to be paid immediately." "So what happens to the genuinely homeless and destitute? "Those people who have no fixed postal address, who live by charitable cash donations from passers-by and do not have the means, knowledge, or essential facilities to open a contactless card account with even a credit union, let alone a bank or building society?" While solutions have been trialled, including mobile card readers, apps and even electronic jackets, homeless individuals still need to opt into schemes to benefit. More widely, charities could be missing out on £80 million in donations each year by only accepting cash, a Barclaycard report found. Blind and visually impaired people could also be hit by the loss of coins and notes, warned reader DaveK1020. "DaveK1020 - the blind and partially sighted do not necessarily need cash to pay for goods. I have a partner who is blind and she regularly uses a debit card to pay for things. She still carries cash, though, but she withdraws cash in £5 notes so that she knows what she is paying with. "Contactless payment is definitely easier for her than fiddling around with money. This does not mean that we both support a cashless society because we recognise that it makes sense to pay for smaller amounts in cash." Having heard numerous readers views, have you changed your mind? Please add your comments below, or read the original poll article here.